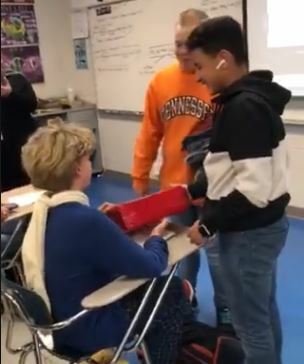 A teenager who’d been having a tough time got an amazing surprise when his classmates presented him with a thoughtful gift. 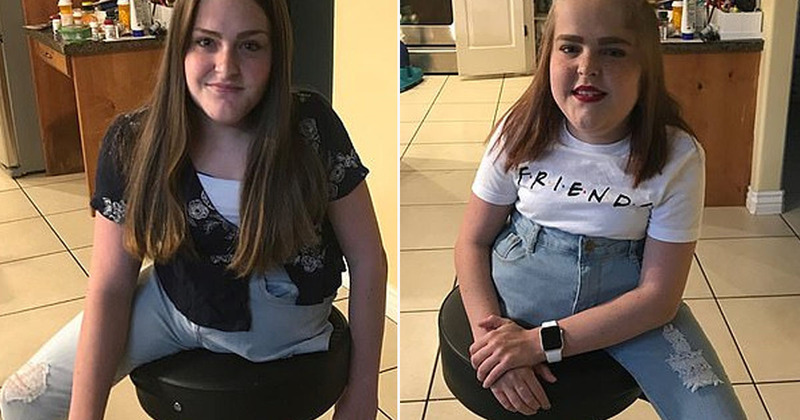 15-year-old Azrael Robinson attends LaVergne High School in La Vergne, Tennessee, and had struggled in the past with bullies at a different school. The teenager was recognised for his selflessness and how he always gave time to help his classmates, so when his fellow students realised he seemed a bit down, they decided to take action and give something back. Azrael’s biology teacher, Sonji Newman, explained to Today how two students had approached her and spoken about doing something nice for their classmate. 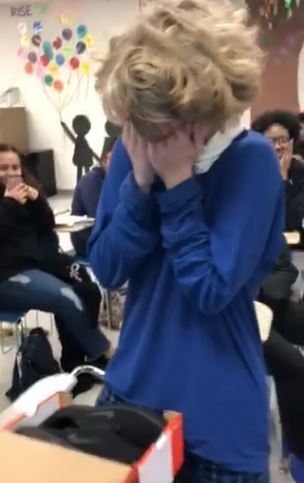 A heatwarming video was posted to Facebook, showing the student being surprised with lovely gifts and kind words. 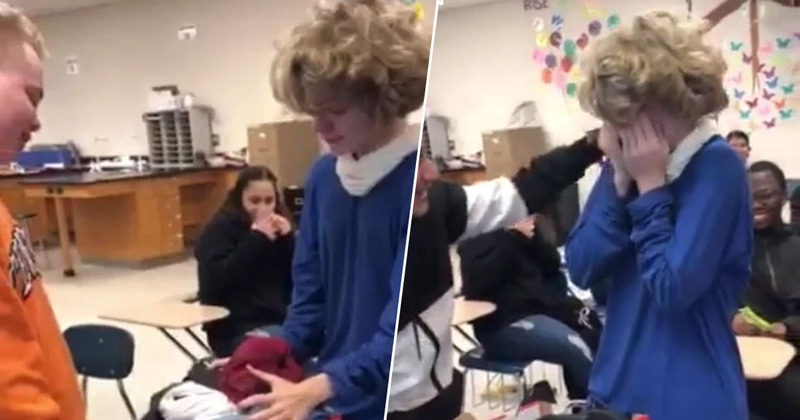 The teen was so touched by the gesture that he started crying with gratitude. Today, my little sister sent me a video of what they did for one of their classmates, that’s having a hard time. They all got together and bought him some shoes, and also donated clothes to this kid. This video is so emotional & filled with love. You just never know what kids go through, but it’s kids like them, that gives us hope. One of the students, Kerolos Girgis, approached Azrael, explaining they’d brought him some things because of how ‘generous’ he is, how good of a person he is, and for everything he does. 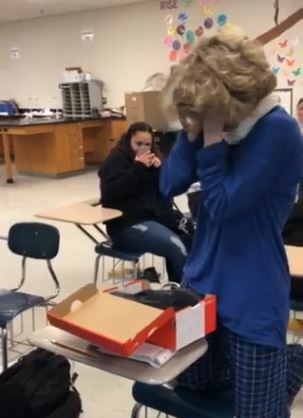 The 15-year-old unwrapped his gift to reveal a pair of Nike shoes, and held his hands to his face as he started to get emotional. This is nothing Az, after everything you’ve done for everyone in this class you deserve way more than this. 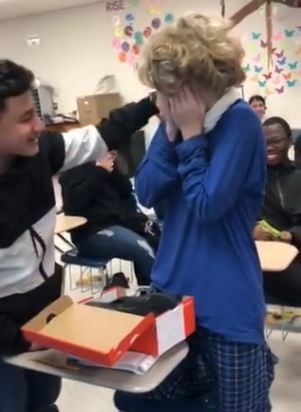 The surprised teen said thank you to his classmates, and another student, Dylan Norton, then presented him with some new clothes before giving Azrael a much-needed hug. If they don’t understand something, [Azrael is] the first one to help. If anything is dropped in the classroom, he’s the first one to pick it up. If a student is down, he’s the first one to say everything is going to be okay. They just wanted to give to him to make him feel better about himself. [Azrael] was so grateful and so full of love. He just appreciated it so much. The gesture surprised Azrael’s mother Traci, who told Today how her son began to cry again when she picked him up from school. Traci was concerned, given the teen’s history of being bullied, but Azrael explained the amazing thing his friends had done for him and just hearing the story was enough to make his mother emotional. The video just goes to show how small gestures can make a big difference in someone’s life! Azrael was certainly deserving of the lovely gifts.